Malaysia’s First And Foremost Obstetric And Gynecology Genetic LAB. DNA Laboratories Sdn Bhd (DNA LAB) is a leading provider of genetic screening and molecular diagnostic services and products in Malaysia. Set up in 2007, the company is currently headquartered in UKM-MTDC Technology Centre in Bangi, Malaysia. DNA LAB provides dependable, accurate and rapid identification of genetic abnormalities associated with genetic diseases and cancer. 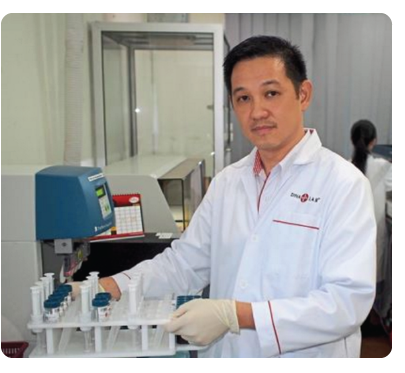 DNA LAB provides reference functions in screening and diagnostic services for all Obstetricians, Gynecologists, Pediatrics, GP clinics, Medical Centres and major hospitals throughout Malaysia. Provision of dedicated DNA diagnostic and screening services with continuous Research & Development into Molecular Diagnostic. One Stop Screening and Diagnostic Centre of Excellence for Fetal Medicine and Women Health Service. Early stage detection of cancer and genetic diseases through molecular diagnostic.